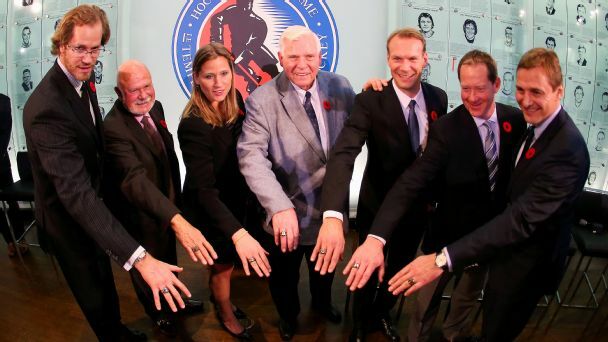 Chris Pronger was inducted into the Hockey Hall of Fame Monday night, along with Nicklas Lidstrom, Phil Housley, Angela Ruggiero, Sergei Fedorov and builders Peter Karmanos Jr. and Bill Hay. Sergei Fedorov in Carolina? 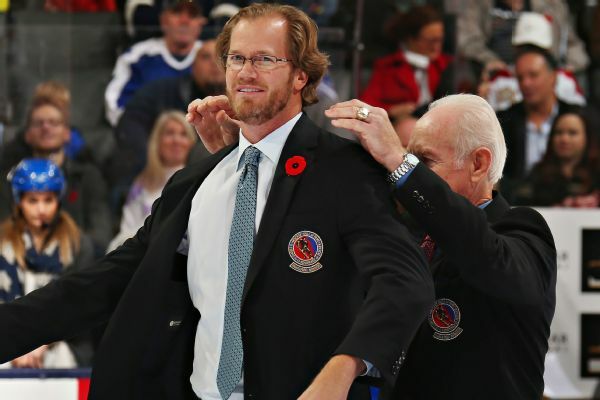 Chris Pronger in Toronto? Hall of Fame weekend is a time to wonder how history could have changed if possible deals had gone through. Nicklas Lidstrom was the best player on the ice all the time, every game, making it an easy decision to induct him into the Hockey Hall of Fame. 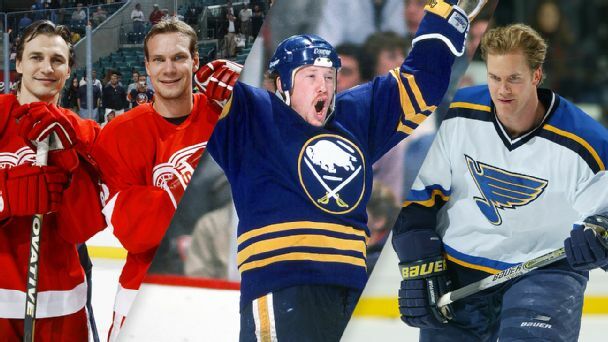 There's no arguing with the Hockey Hall of Fame's class of 2015: Sergei Fedorov, Nicklas Lidstrom, Chris Pronger and Phil Housley. 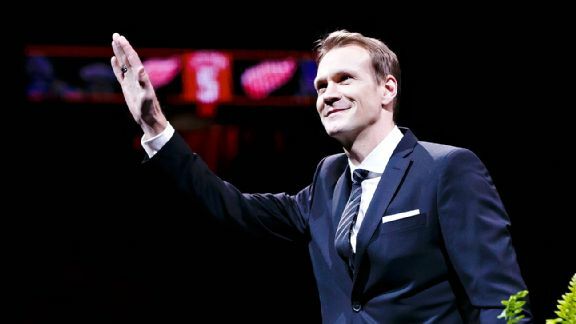 The Detroit Red Wings have retired Nicklas Lidstrom's No. 5 jersey. 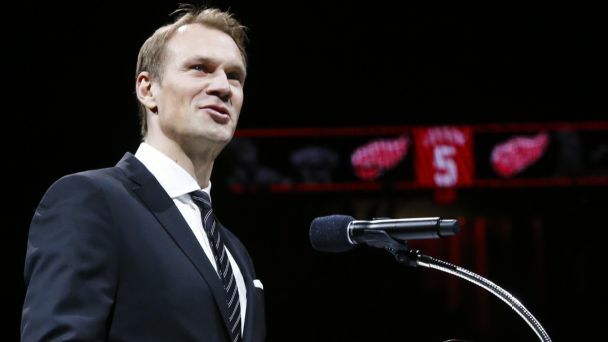 Olympic gold medalists Steve Yzerman and Nicklas Lidstrom, both Stanley Cup-winning captains for the Detroit Red Wings, will enter the International Ice Hockey Federation Hall of Fame. Not only did the Detroit Red Wings lose legendary defenseman Nicklas Lidstrom to retirement, but they failed to land free agent Ryan Suter to replace him. The Detroit Red Wings have chosen Henrik Zetterberg as their captain, replacing retired defenseman Nicklas Lidstrom. For only the second time since 1986, the Detroit Red Wings will have a new captain when the NHL returns to action later this month, as a source told ESPN they're expected to name Henrik Zetterberg captain.